Not all of those things combined of course… that would be weird and awkward. As I mentioned after Greenwood, I made an appointment with the vet to come check Henry out. He was just so abnormal at GW in all respects and it got my spidey senses tingling. 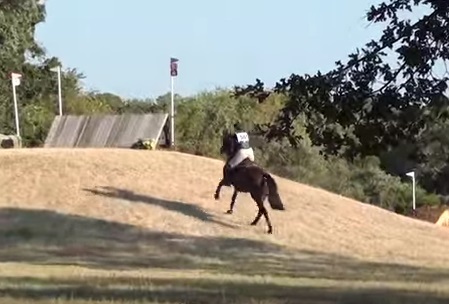 Once I saw the XC video I was even more sure that something wasn’t right – he landed cross-cantering multiple times and seemed a little shuffly off the ground in a couple of places. That’s not normal. While there was nothing outwardly “wrong” that we could find at the time, his stadium performance and those few little things on the XC video raised some red flags for me. Before the vet got there I already had a pretty good idea of what we were in for. 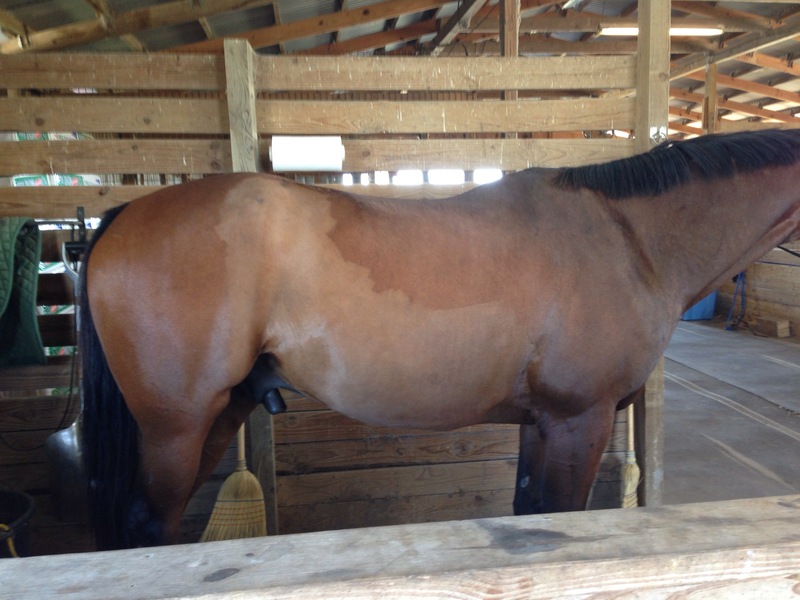 I’ve known since I bought him that he’s a little sticky in the hind end, and I’ve had him on IM joint supplements for a while in the hopes that we could support him that way for as long as possible. 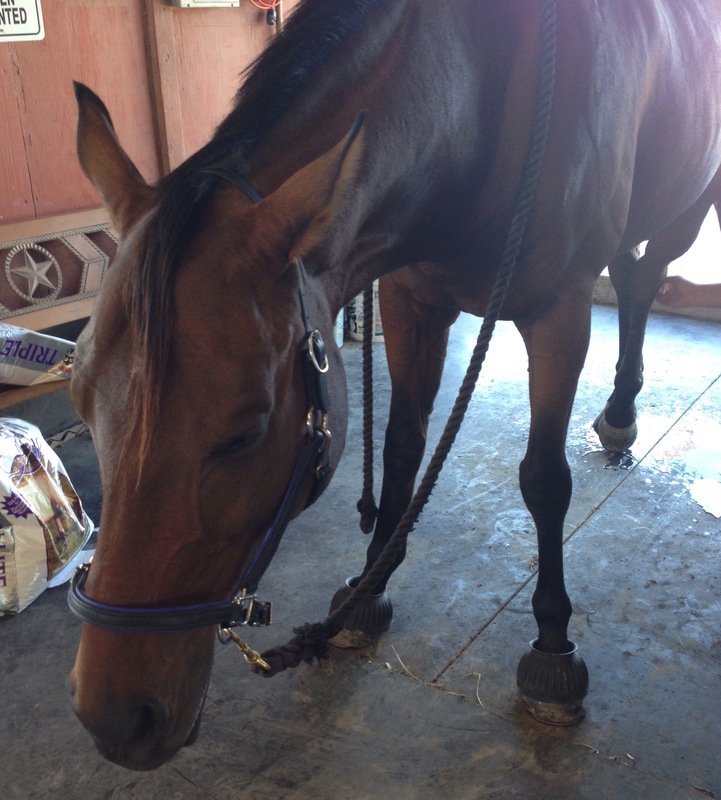 As soon as the vet starting poking and prodding and flexing the hind end it became clear that IM is no longer enough. 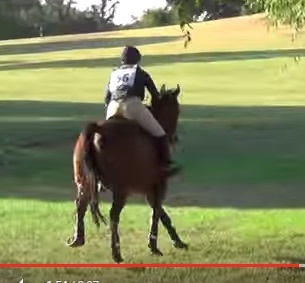 He is a pretty textbook case of lower hock soreness. He was obviously sore on the left, just baaaaarely sore on the right. I hate joint injections. A lot. Sticking a needle in a joint is not something that gives me any kind of warm fuzzies. I think the vet read my face pretty well because he pointed out that the earlier we address the inflammation, the more we can slow the degeneration. So I gave the go-ahead and we injected both hocks. What does this mean for the future? Well, for the immediate future I’ve scratched our last event of the season. With Greenwood having been semi-disastrous and this happening only a week before show time, plus a few other factors thrown in, I’m just not comfortable asking him to compete right now. I’ll give him some time, re-group, and make a plan for the winter. We’ve already more than accomplished everything I had originally dreamed of for the year, and it doesn’t seem right to ask him to keep going when he’s not 100%. As for the more distant future, I had no plans for him being an upper level horse anyway, but his schedule will likely be lighter and more consideration given for preserving those hocks. We’ll see later this week how he feels and if the injections helped. On a lighter note – if you’re going to pay for sedation you might as well get the most of it. I took advantage of drunk Henry after the vet left and clipped all the areas where he normally threatens to knock my block off. He made a couple of “Noooo, not my bellllyyyyy haaaaairr” half-hearted threats, but man… drugs are great. Saturday I finished the rest of him. He might be mad, but considering we’ve still been in the 90’s, he’s got to feel better. Poor Henny… rough weekend. Poor naked Henny. He looks good though! What a change back from when he was ribby. Bummer that he’s sore but it sounds like its not anything that isn’t manageable. I’m right with you on the joint injections, but considering the alternative, I’ll go with it. I just wish there was a human version, you know? I’m a huge fan of injections personally – it works out to be cheaper than the IM and feed thru types and works SO much better. 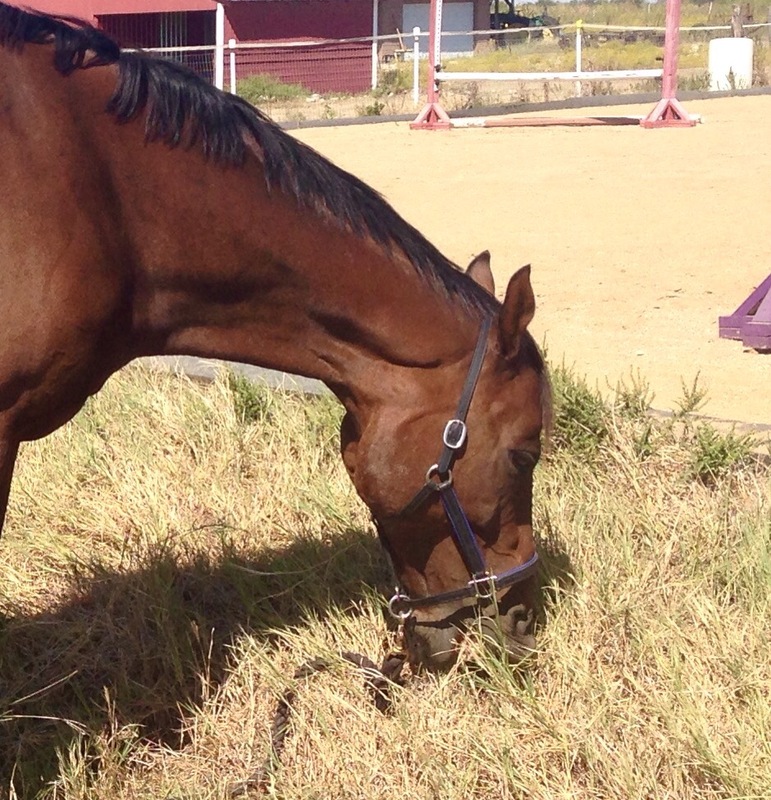 My 18 year old gets his hocks and stifles done about every 8-9 months. It used to only last 4-5 months. Then about 6. Then 8. And he never goes back to the “oh, he’s obviously off” anymore. He’s 100% and he feels so good. 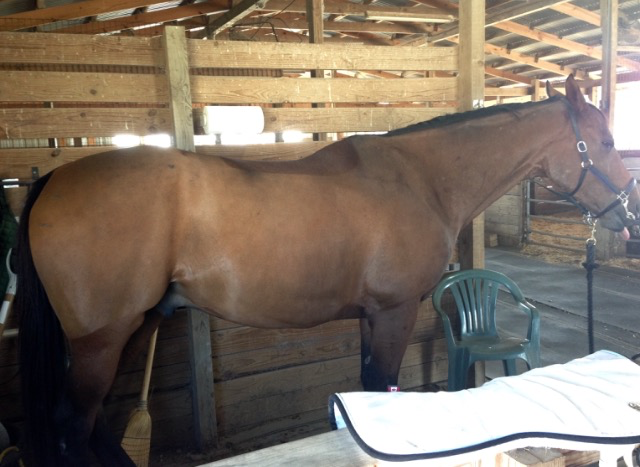 He was grade 3 lame without flexions when I bought him. Oh man, what a bummer 😦 but major props to you again for knowing your horse so incredibly well and, hey, the video came in handy! So glad you found an answer! Even though it wasn’t exactly what you wanted, I always feel a bit relieved that there is an explanation when things go a bit wrong. Hope Henry is back at it and feeling better soon! The 90’s?! We’ve been in the 40’s. I worry about Copper’s hocks long term. I’m hoping since I’m super lazy and haven’t pushed him I’m tacking on years of his brain working and his hocks being okay at the same time. A girl can dream? Oh, dang. I should have clipped Eli’s ears while he was still out of it after the extraction. You are way more on the ball than I am. Poor Henry. It’s a rough life when you get taken advantage of when you are as high as a kite.